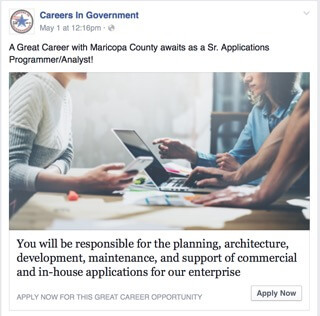 Careers In Government is committed to not only marketing your vacancies on our job board, and social media platforms; but we now offer highly effective and cost efficient advertising campaigns on Facebook and Twitter to further extend your recruiting efforts. 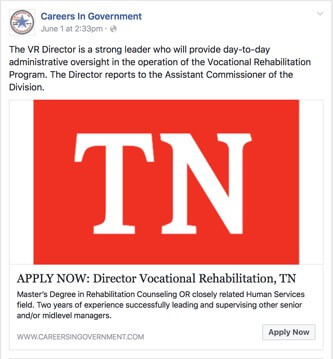 Other agencies build boilerplate strategies designed for the private sector, but Careers In Government will build custom solutions designed to meet the needs of State and Local Government employers. 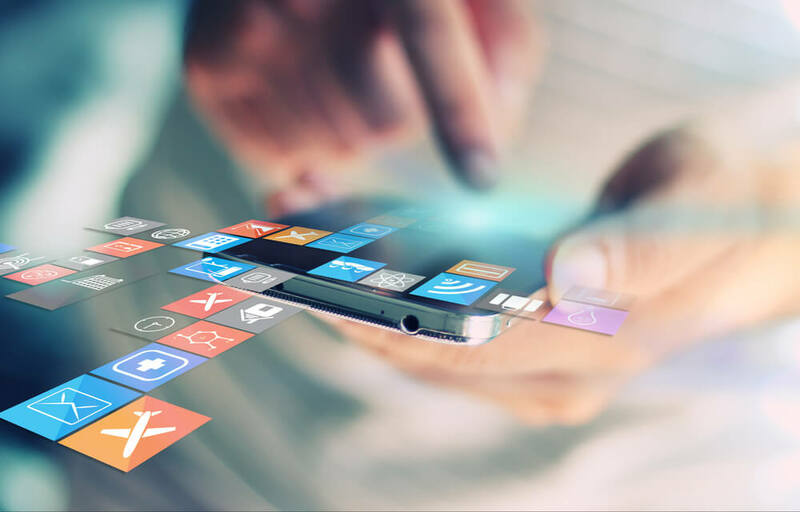 We are always available for immediate replies, regular calls, and monthly reporting to help you understand the strategies behind our campaigns. 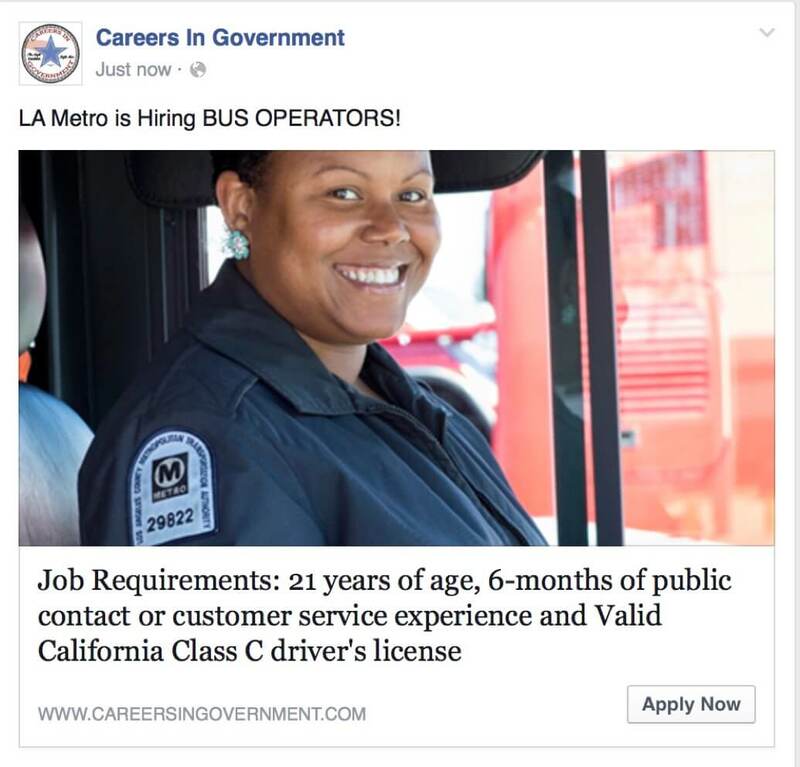 Manage and maintain both paid and organic postings to promote the hiring of qualified candidates. Integrate the latest trending hashtags on a weekly basis to engage with the widest audience possible. 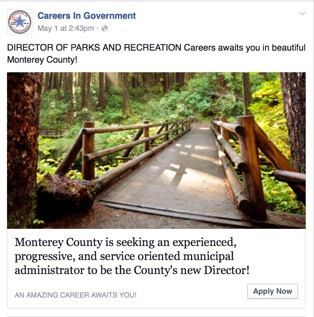 Engage with users by responding to social media queries and relaying the information directly to your agency. Market your employer profile page for impactful employer branding.